River Mite at Dalegarth Station. As James was saying, real life has been taking priority. With ‘She Who Must Be Obeyed’ spending the weekend on a dance instructor’s course, I headed over to Cumbria with my little people to keep out of the way. We had a lovely time too! I absolutely love the Ravenglass and Eskdale Railway, and this seems to have passed to Thomas too. A 15″ gauge line, but with the feel of a ‘real’ railway – for small children, the size is just perfect! And few places have a genuine magical quality but the Ravenglass and Eskdale Railway really does. There’s also a very tenuous link to the whole West Halton project – the Ravenglass & Eskdale was built originally, in its 3′ gauge form, to transport iron ore to the mainline at Ravenglass, the area being rich in ore deposits and at one time had quite a concentration of iron and steel making. A lovely weekend, even the sun shone over the Cumbrian hills. The one thing, that slow’s the pace of this project down is life it’s self! Both myself and James are shift workers and they do take the toll on what can and what cannot be done and time that you have to do things can be really really limited. Especially when you have to other things with your wife and family or my case with my partner. For me it’s been a particularly busy year so far with me and my partner Anna buying a new build house. So we have had all the rigmarole of dealing with the builders. Having people come and value the current place we live survey’s visiting the solicitors getting certificates renewed and replaced at times the list of thing’s to do has been endless… It was only yesterday that we have been given a moving date of the 2nd week in October! As for Mr Wells with two Children in tow and working shifts and trying not to be constantly tired I very surprised that he actually manages to produce what he does especially given what he produces is of high quality almost as fine as the finest art that a Dutch Master would produce. 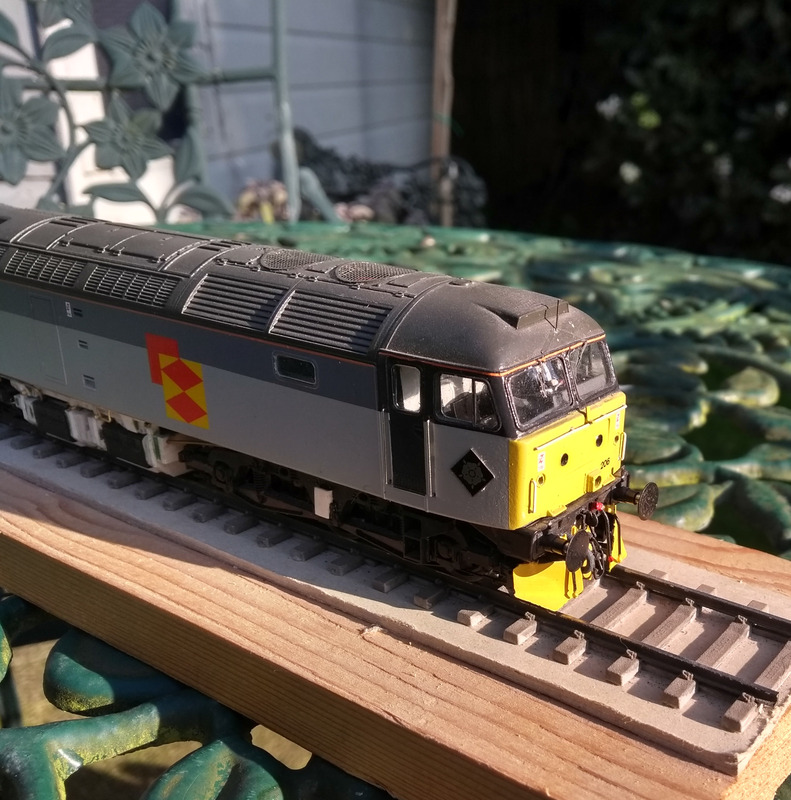 The idea came to me when I was just looking through the 53a Models archive on flicker and Mr Turner had gone to Selby Street in Hull to capture a crew training run with a class 60 as they was about to be introduced on the flow of stone from Rylstone to Hull Dairycoates. Whilst waiting for the said crew training run 47972 came blasting out Hull with this working from the RTC. He did very well to capture 2 loco hauled trains at this location at the same time as its normally units only! We like how weathered the 47 is and the assortment of stock. These trains now unlike then have some sort of cult following now that 37 of some sort is bolted to the front of them. When the power was class 47 I feel these trains was somewhat overlooked. Not the worlds best photograph of it I know. 950001 Again I think I saw this unit more than I saw a loco hauled test trains! 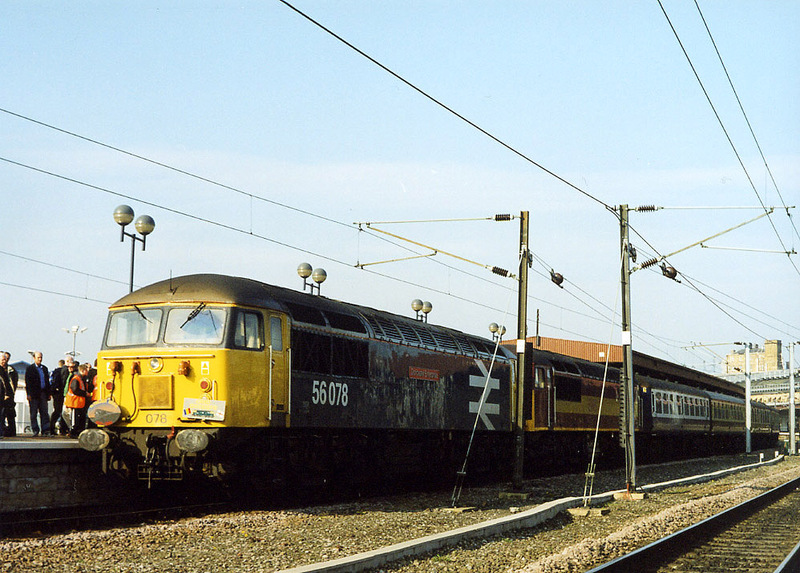 We want to model the 150 as it was this picture was taken at Crewe Gresty Lane in 1988 (Photographer Unknown). In 1992 I still think the unit had its light shade of blue as photographs of it circa 1994 show the light blue to be a dark shade of blue. That is unless you guy’s know different than if you do then please tell us as we want it to be correct or correct as we can get it. We think this as well as the RTC loco hauled set are just a nice and different break from the norm and they are trains that just used to rock up with out any knowledge unless you was in the know. Unlike now thanks to things like Real Time Trains where every man and his dog now know what is going to be running! It’s a van! Yes it is and they are widely available from Bachman. West Halton will have quite a few vans on it. As we are going to suggest one the flows from the Steel finishing plant was stainless or tin plated traffic and these left the site in various types of van. VAA, VDA, VBA, VCA, VGA and other Cargowaggon type vans. However, With this van for me its not about what the body of the van looks like its about the underneath! The van a former VDA now coded ZRA and in departmental stock when photographed. Has the experimental FAT 19 suspension or Taperlight suspension. This to me is brilliant as not all the vans will have the same under-frame arrangement they will be unique. 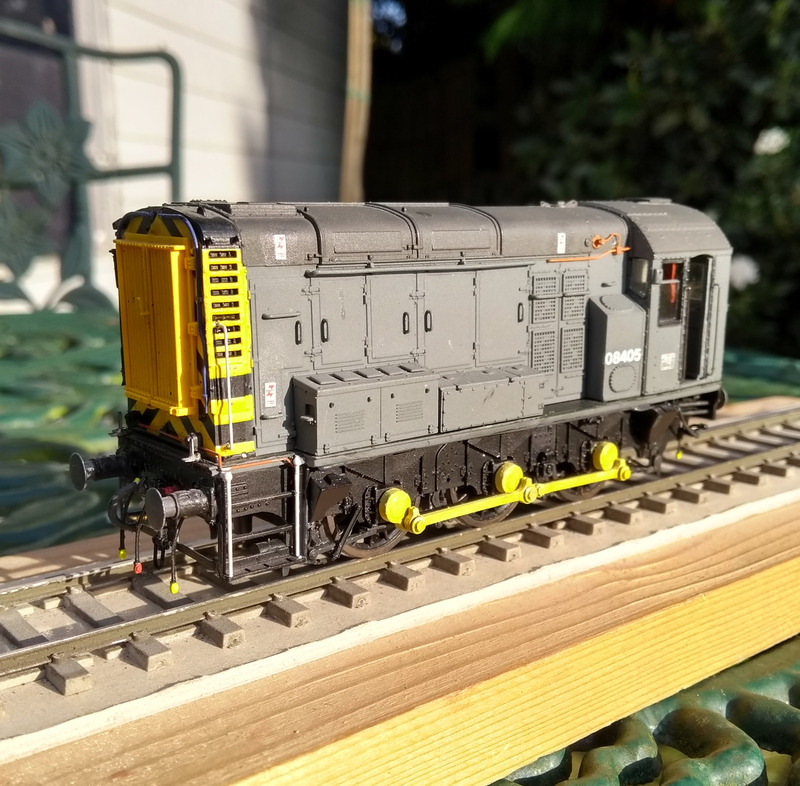 A member of DEMU has already had a go at producing the suspension through 3D printing and it has been a success and now I am just waiting for the next run to be done and so that some of West Halton fleet of vans can get this treatment. 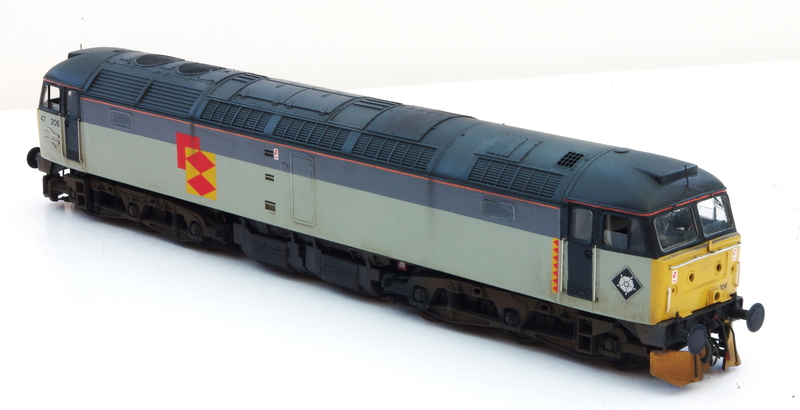 A new name in producing models came into fruition last year CavAlex Models. With the 1st product the PGA hopper already being brought to market and selling well the boys have turned to other projects to do. The BBA in my book is long overdue, the Cambrian Kit is a good kit but a little chunky in places not quite as fine as it could be in places but that said it is still a bloody good kit and I for one will not be binning mine off when this model hits the shops. I be buying these to run alongside my Cambrian BBA’s. I won’t lie I am excited by this project just for the fact that it is so long overdue and that in a way it sticks two fingers up to Dapol who announced that they would be doing a BBA in 2008! Also I had he pleasure of meeting the two men behind the project and through work. I took to them to a Yard to allow them to photograph a lot of BBA wagons within a inch of the lives for this project. So I am looking forward to these along with my Cambrian models moving trains of slab metal and blooms made from bits of plastercard! Please bear with us as the old saying goes Rome was not built in a day and bloody shift work ruins modelling time. As the nights draw in we are aiming to start making more progress.